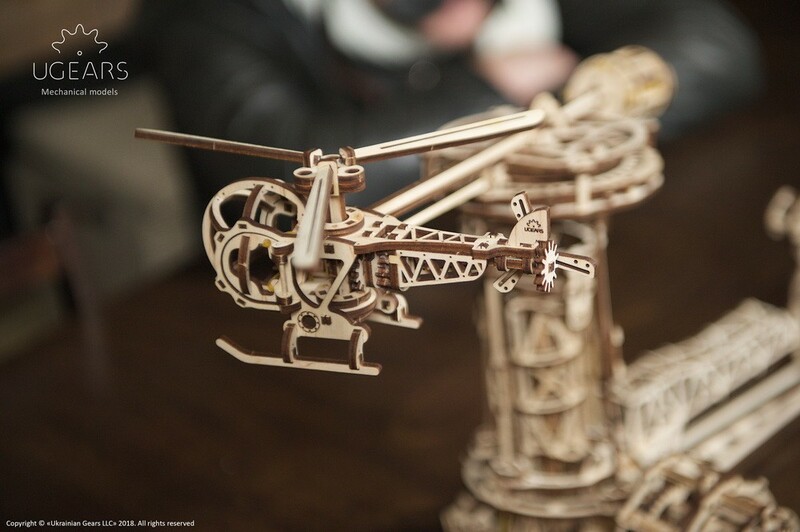 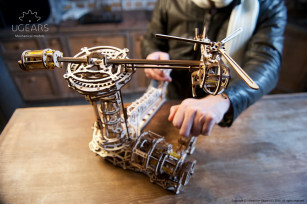 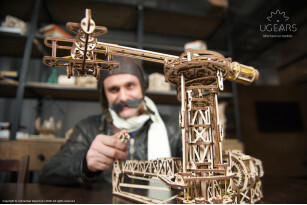 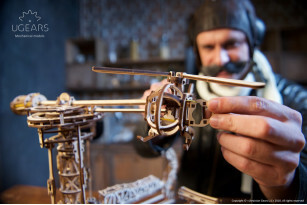 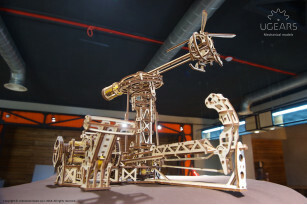 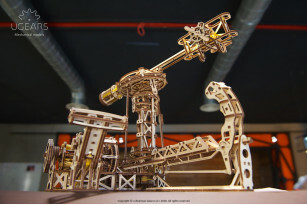 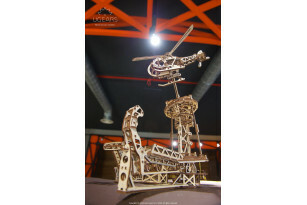 The model has three modules: the airplane, the helicopter and the flight control tower. 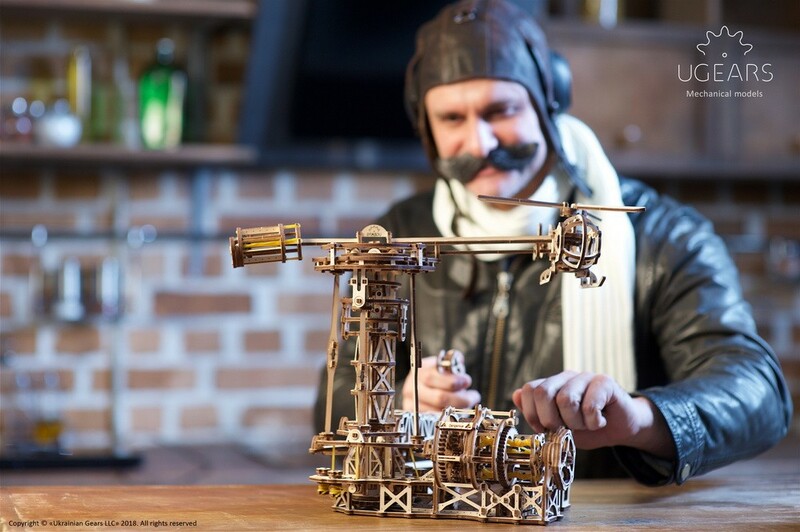 Choose between your aircraft, set one on the tower’s bar and you are good to fly. 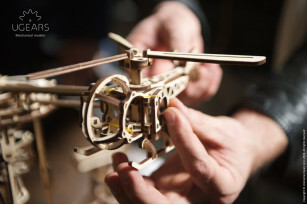 As a beginner pilot you might want to start with the helicopter which is not as difficult to control as the airplane. Easier to manipulate but no less exciting, your chopper has a cockpit with doors that open and shut, and three-blade main and tail rotors. The airplane has a higher velocity and requires a certain skill to operate. 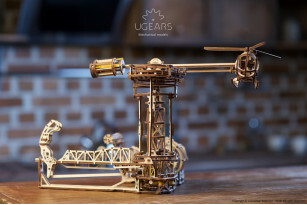 This module is based on the wire-braced biplane and has a 5 piston motor. 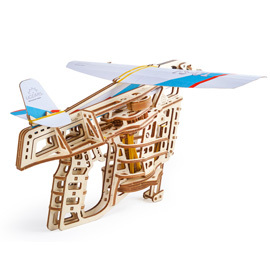 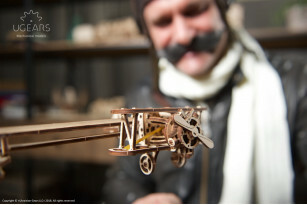 To learn how to fly this wayward bird you may need several flight hours – but it is of course part of the fun! 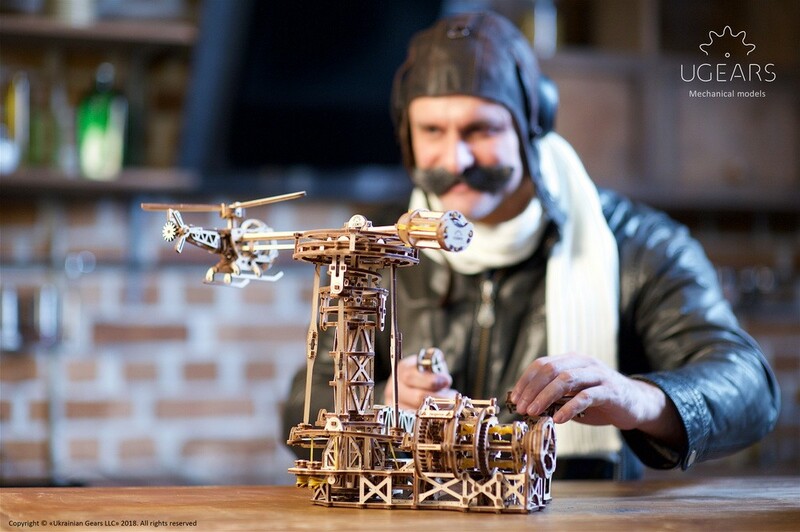 Besides, you would have already become acquainted with the basics if you started with the copter. 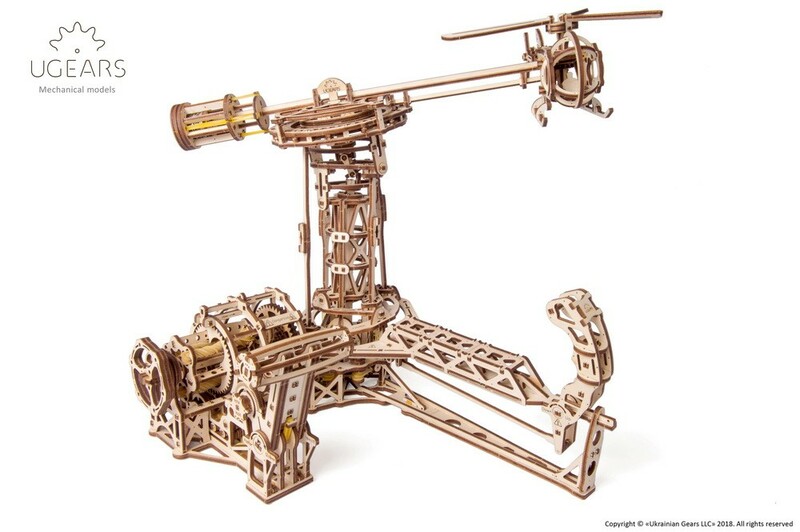 - and the Motor controller to adjust RPM (revolutions per minute) sets the speed of the aircraft. 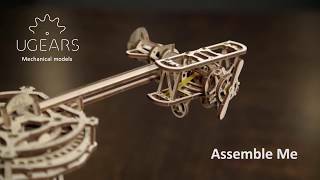 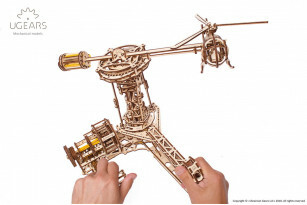 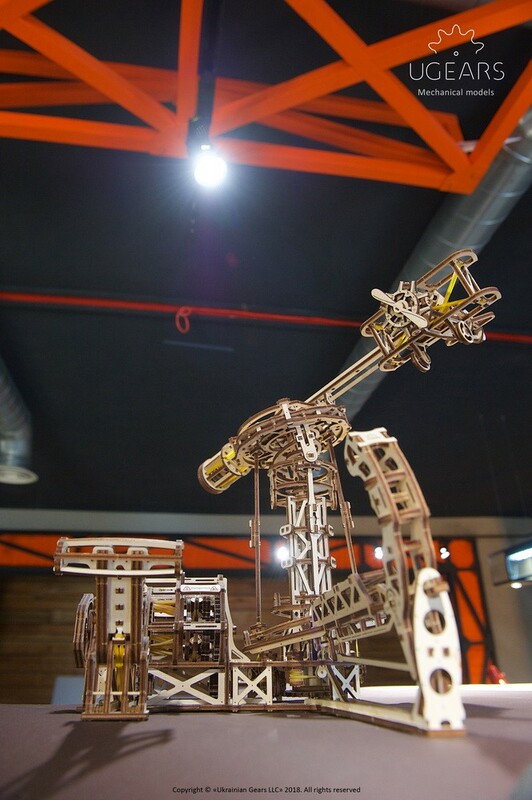 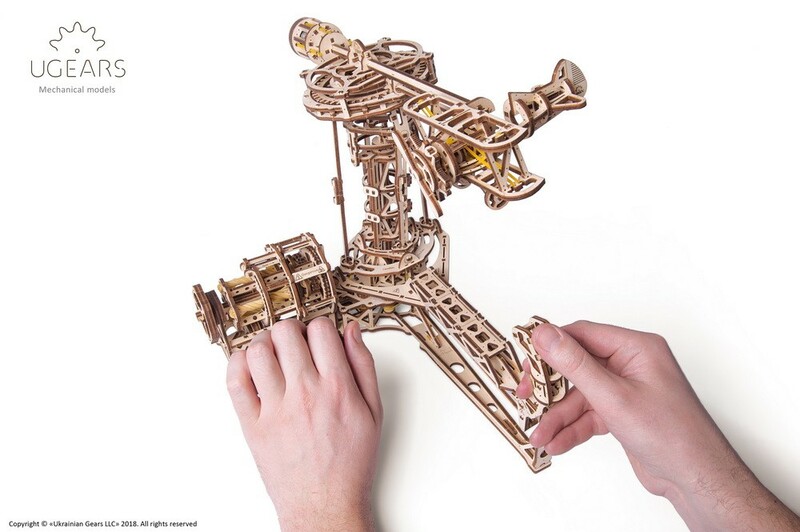 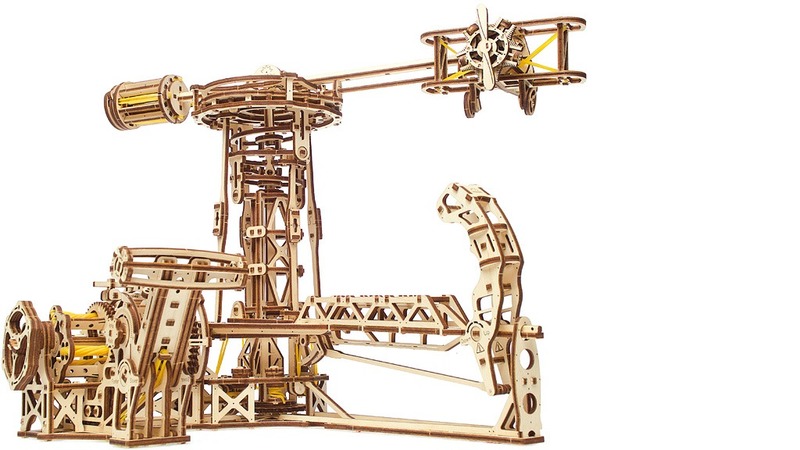 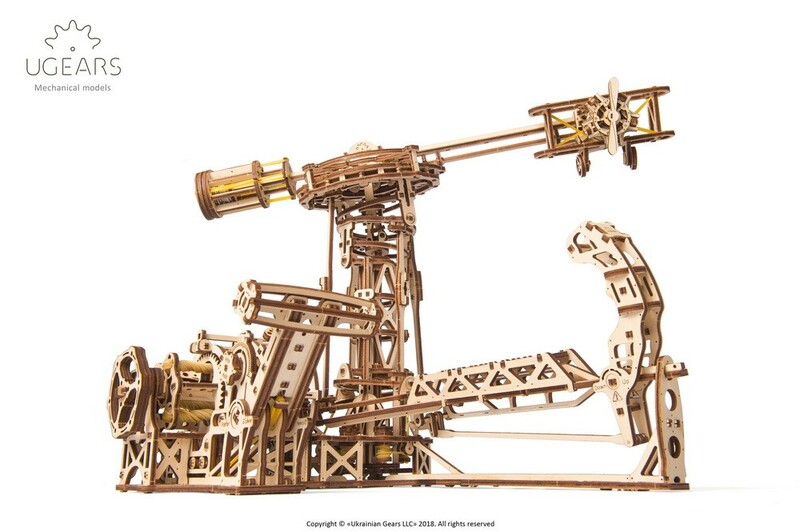 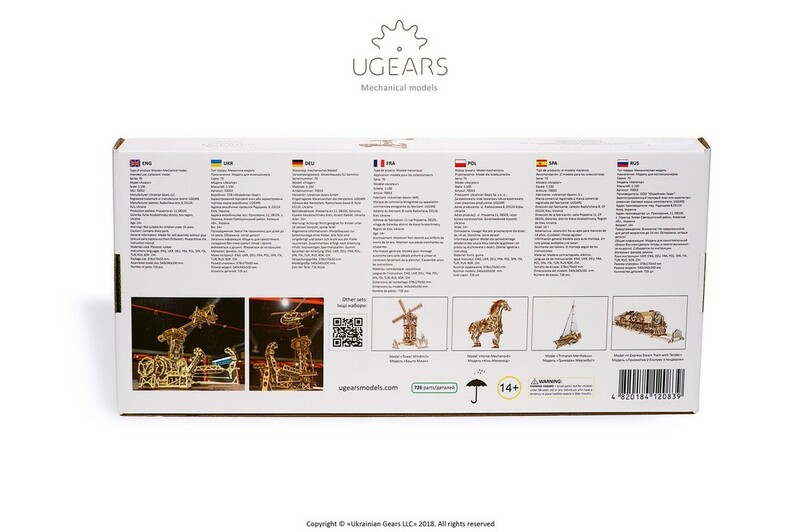 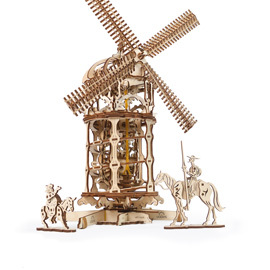 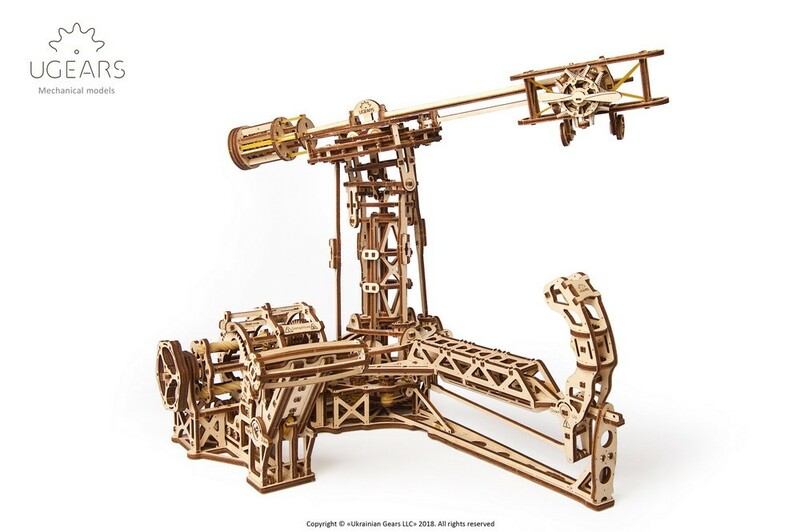 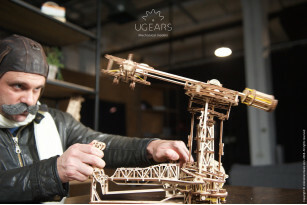 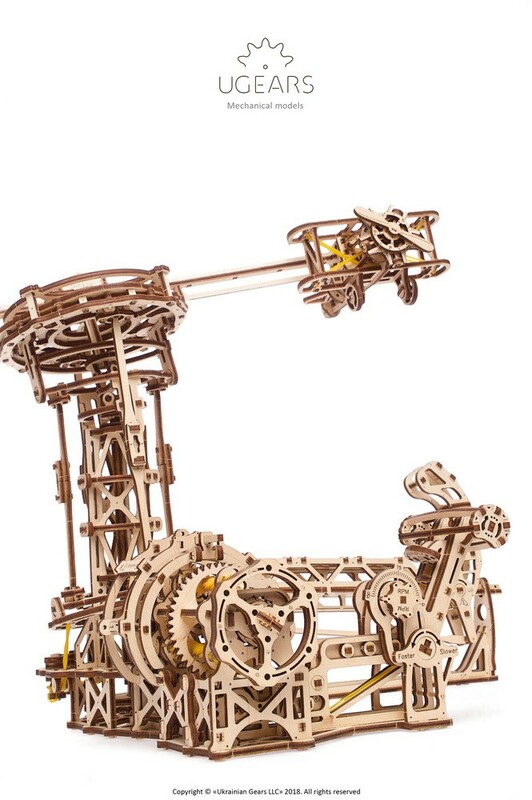 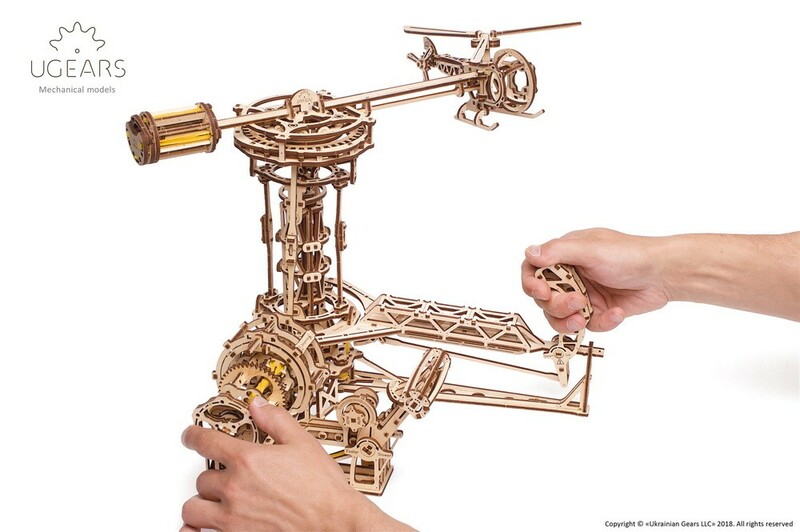 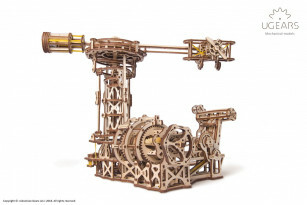 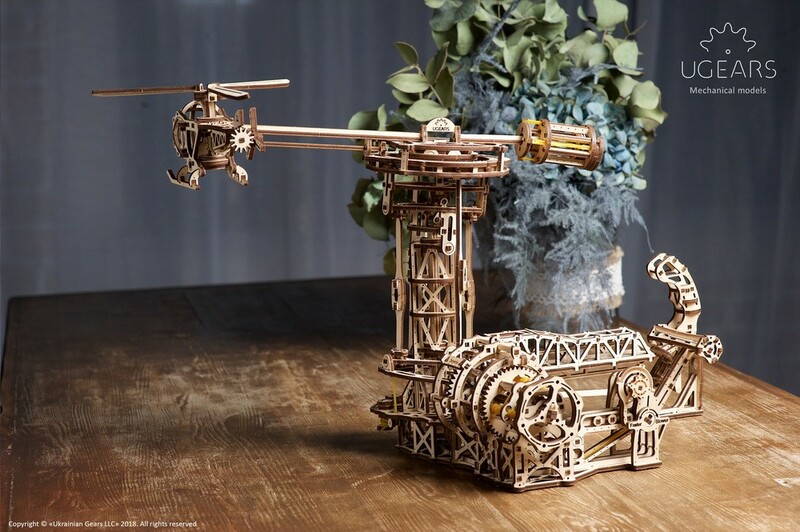 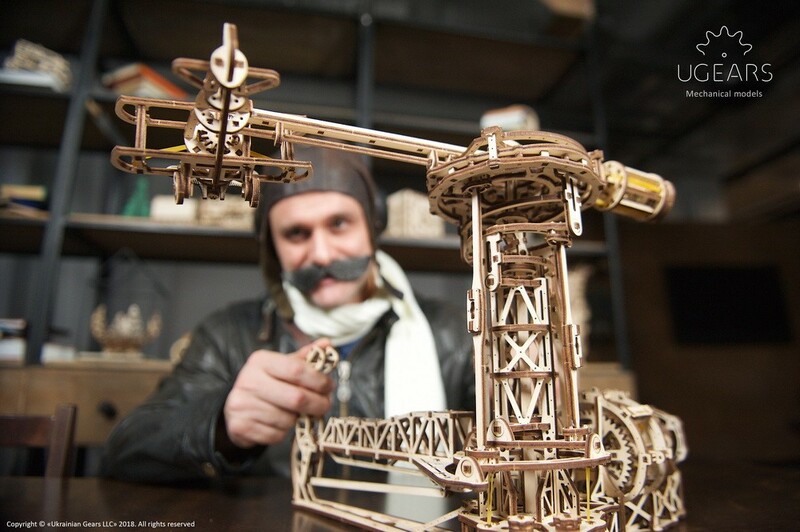 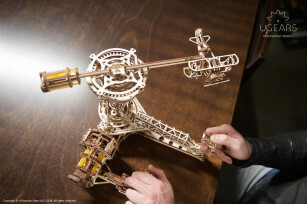 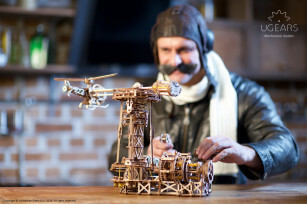 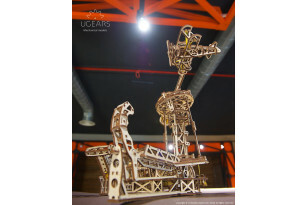 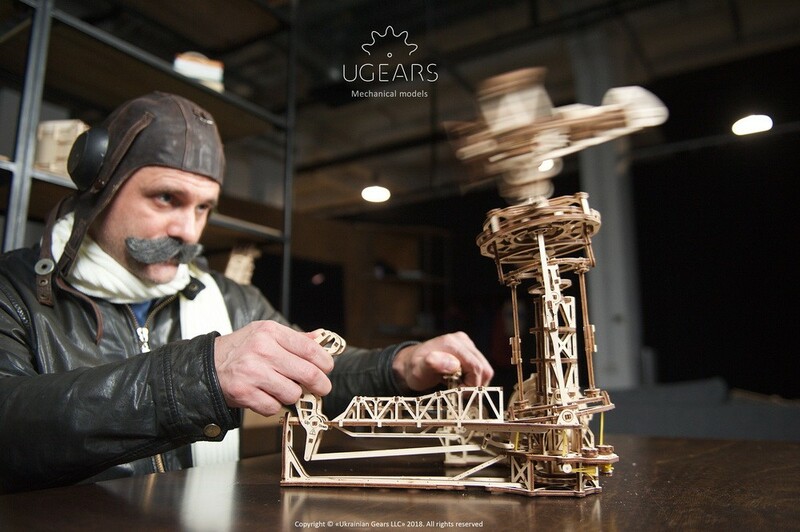 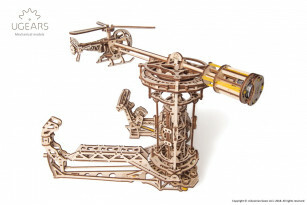 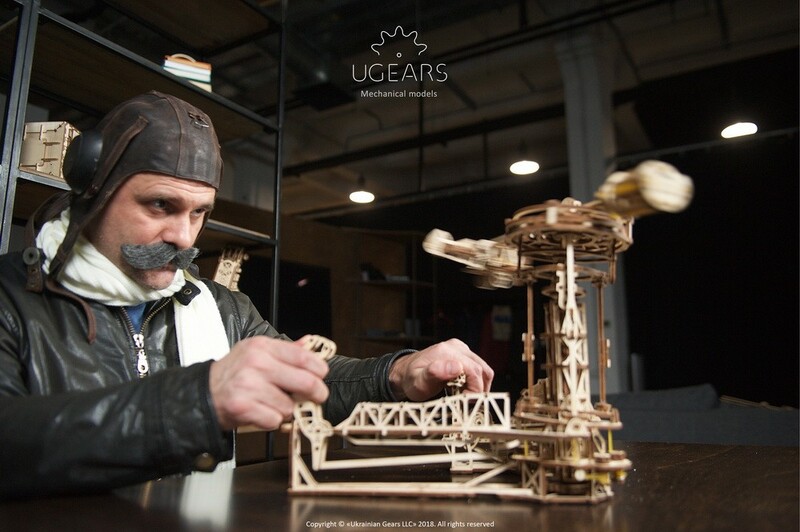 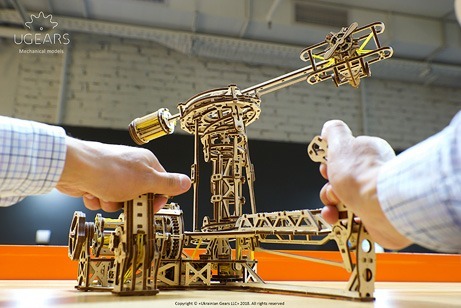 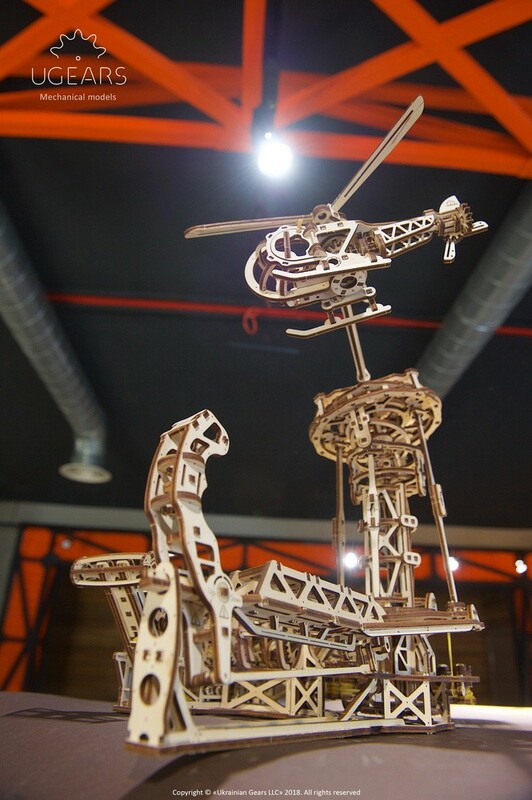 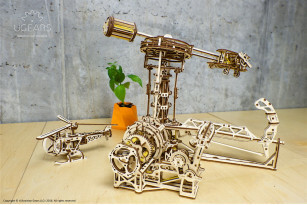 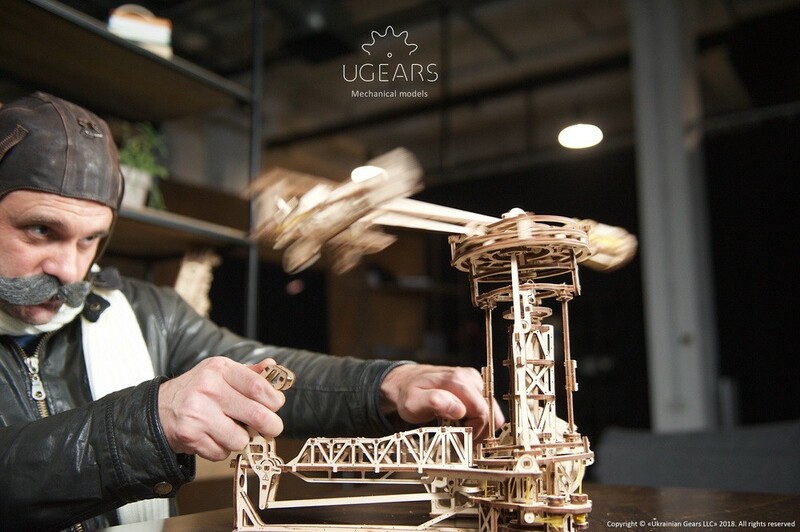 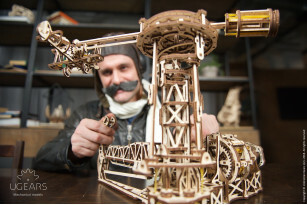 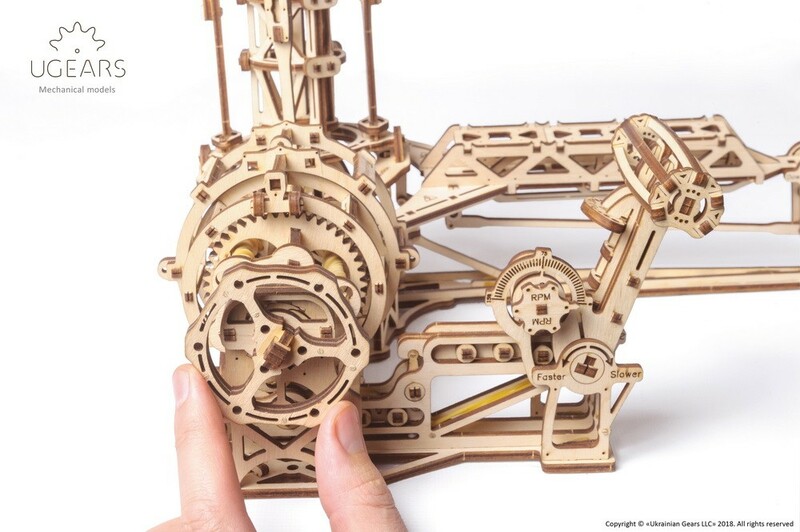 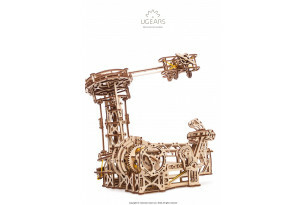 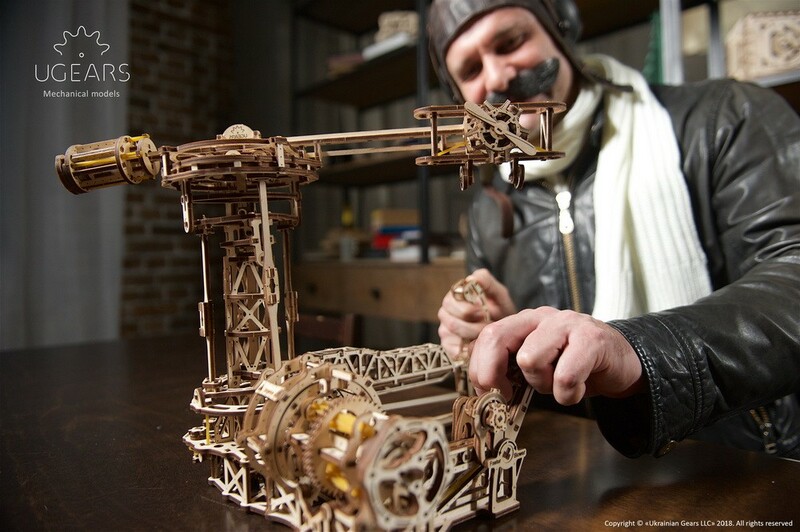 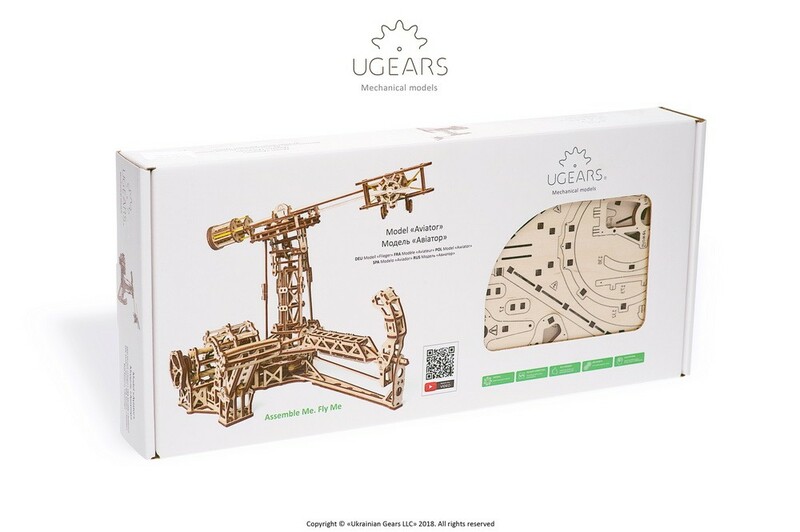 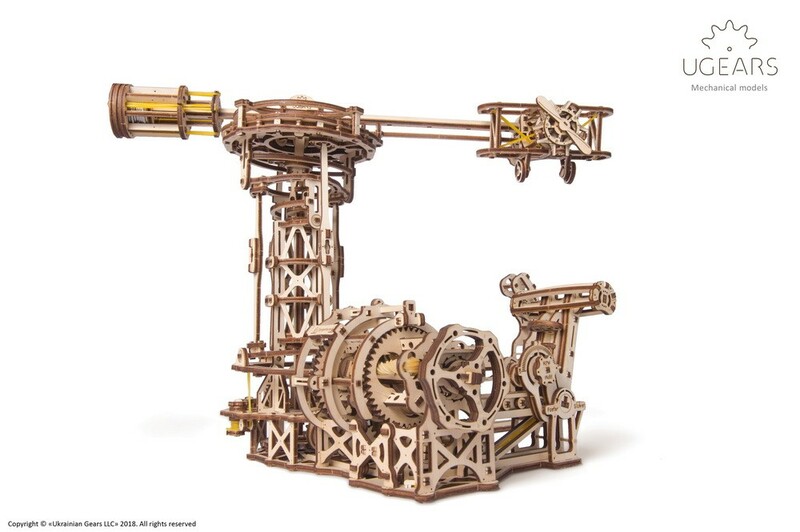 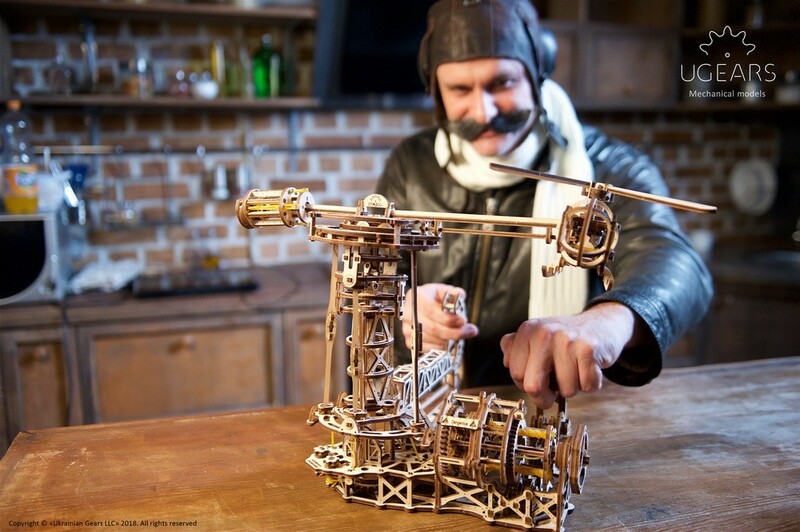 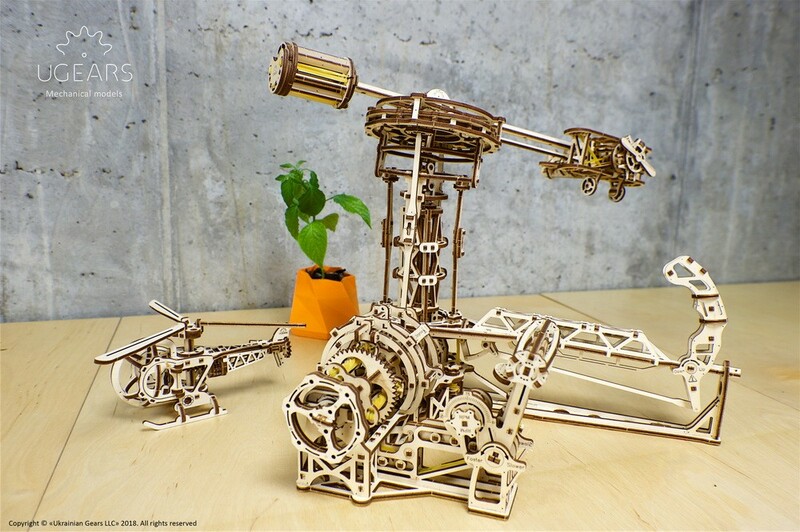 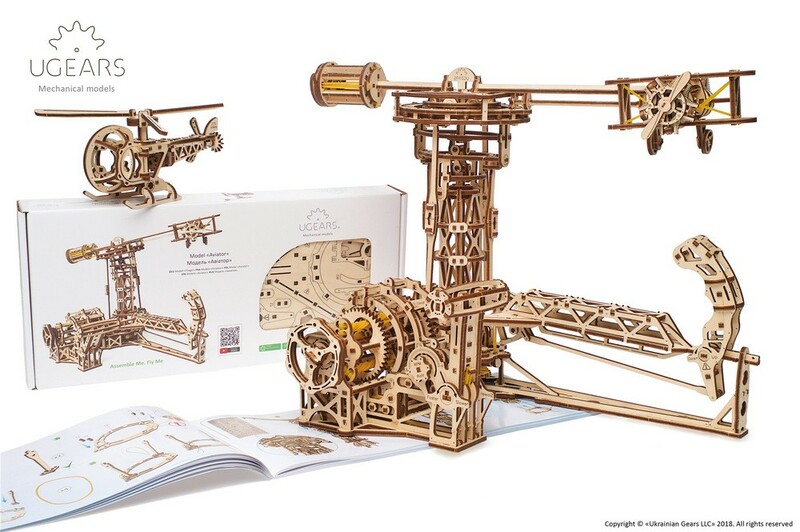 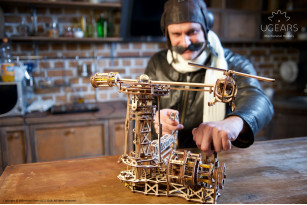 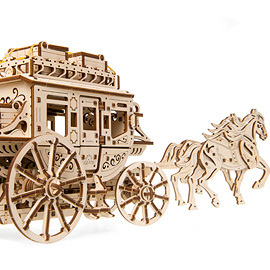 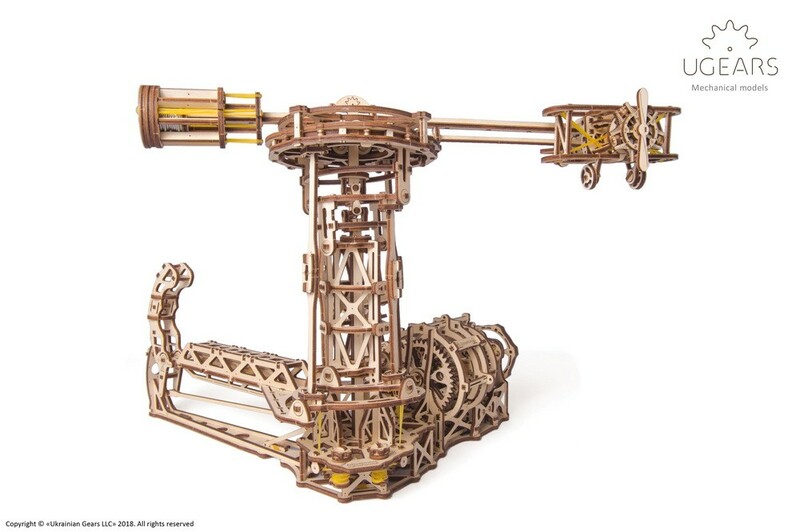 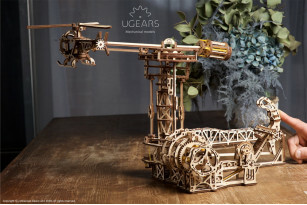 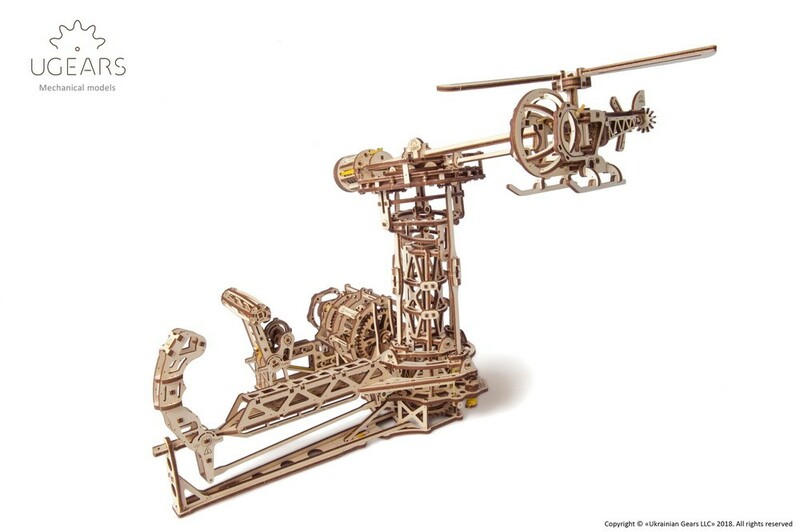 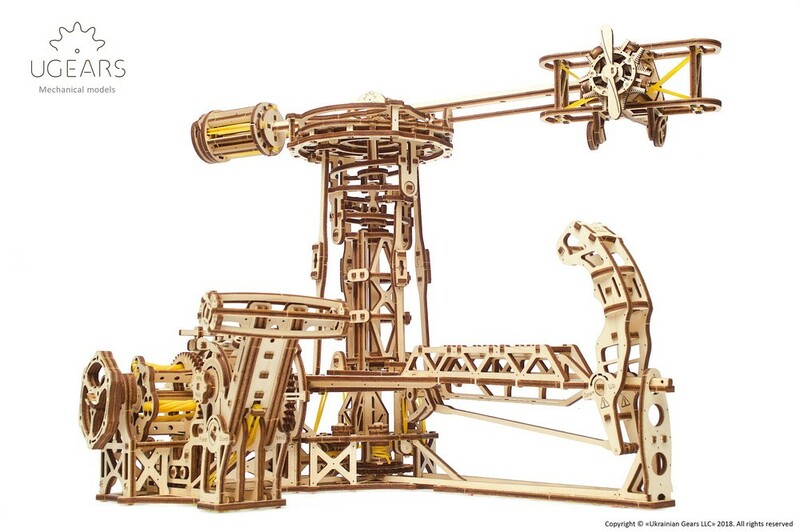 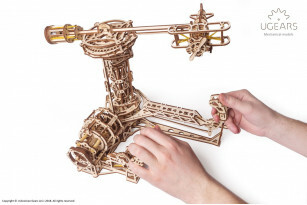 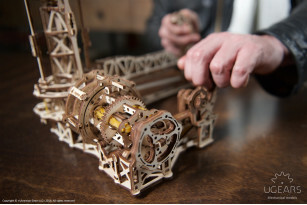 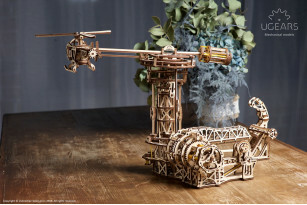 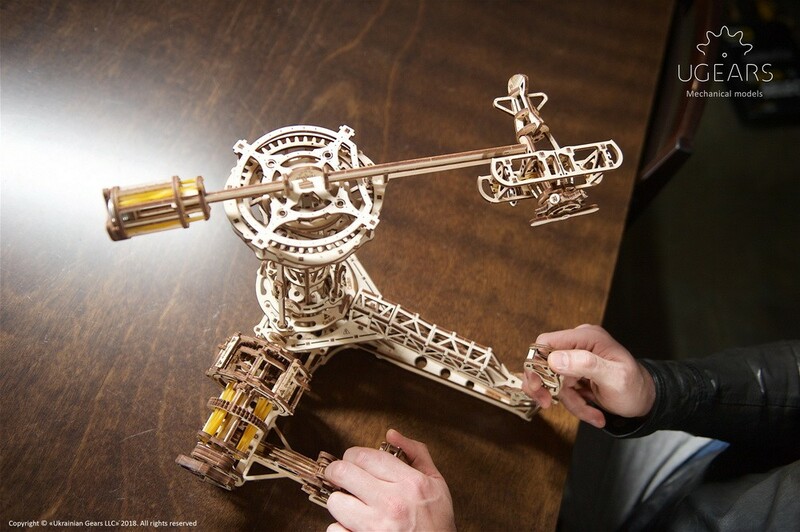 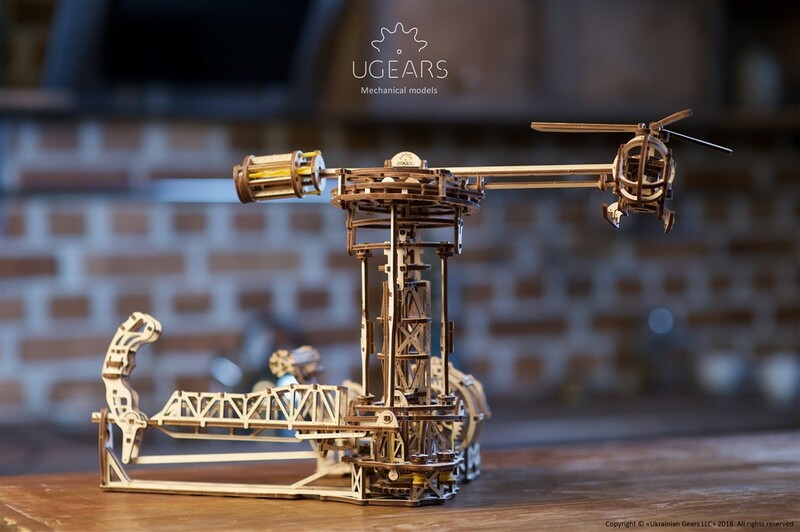 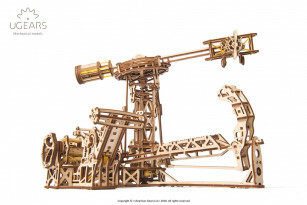 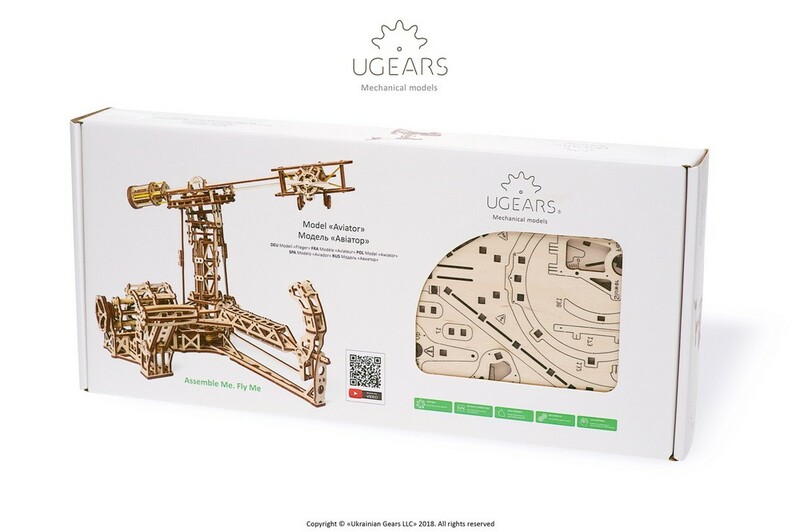 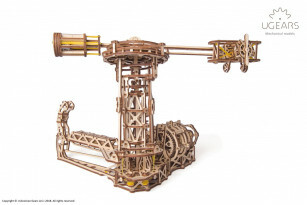 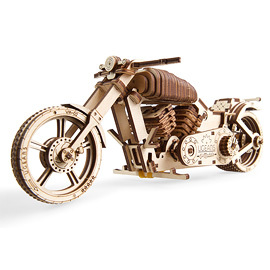 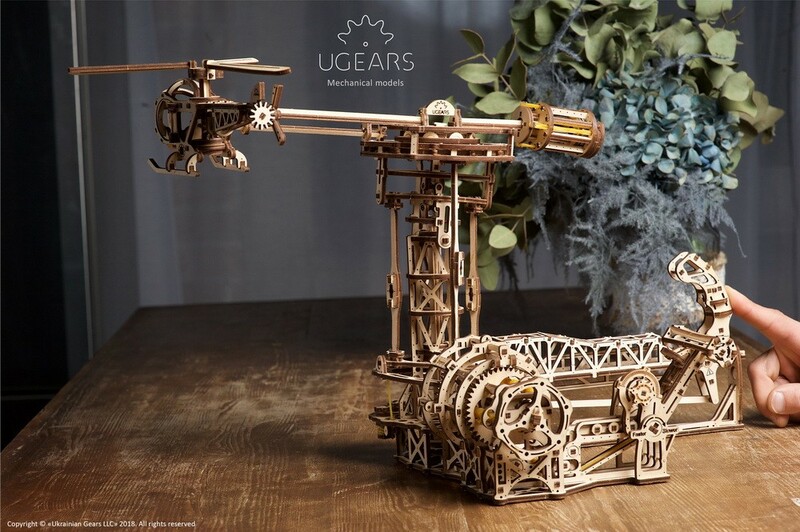 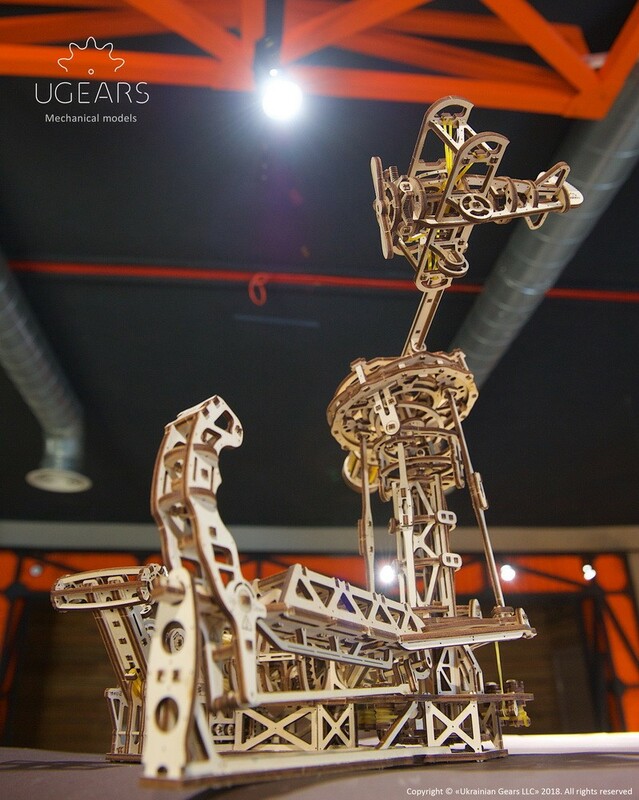 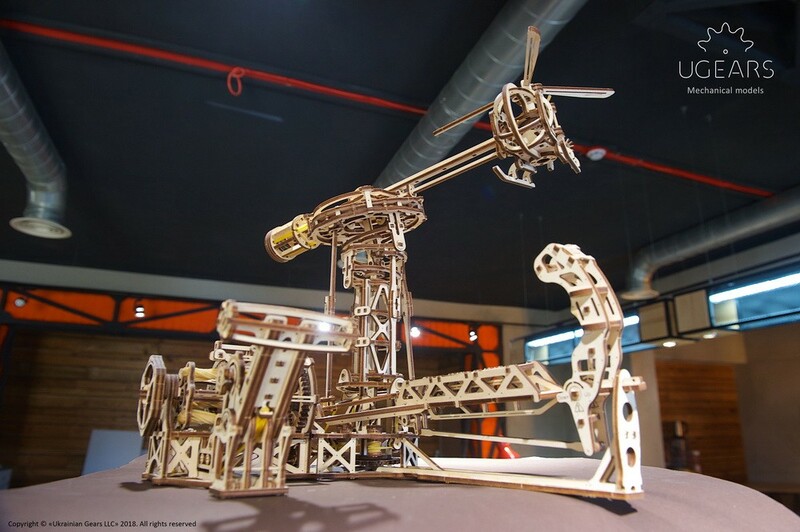 The Ugears Aviator model kit is made of sustainably sourced high grade wood and has everything you might need for assembly. 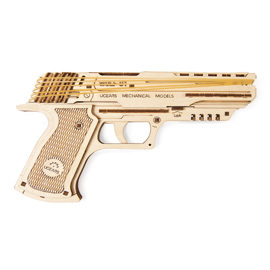 The quality of the parts is top-notch: a laser method is used for cutting items from a plywood board that provides precise hairline cuts. 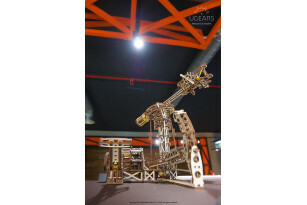 The details have to be pulled out of the boards and assembled to create a complete model. 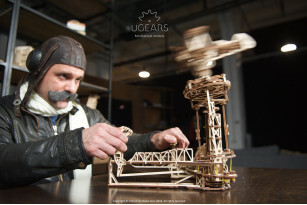 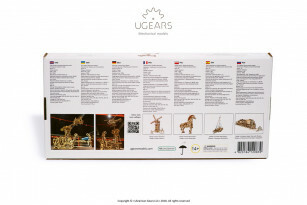 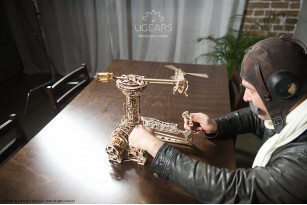 Like all other Ugears models, the Aviator comes with step-by-step, full-color, truly easy to follow instructions in 11 languages (English, German, Ukrainian, French, Polish, Spanish, Russian, Turkish, Italian, Chinese and Korean) and requires neither glue nor special tools to be fully assembled into functional flying model.